Raffles Institution, the oldest school in Singapore, only admitted boys when it was founded in 1823. In 1844, it began to admit girls. In 1879, Raffles Girls’ School (RGS) was established as a separate wing of the school. Female students joined their male counterparts in their 5th year for their pre-university education leading to the GCE A-Levels. In 1959 RGS split into primary and secondary schools. The secondary school moved to Anderson Road, while the primary section first remained in Queen Street, before settling at its present campus at Hillcrest Road in 1999. 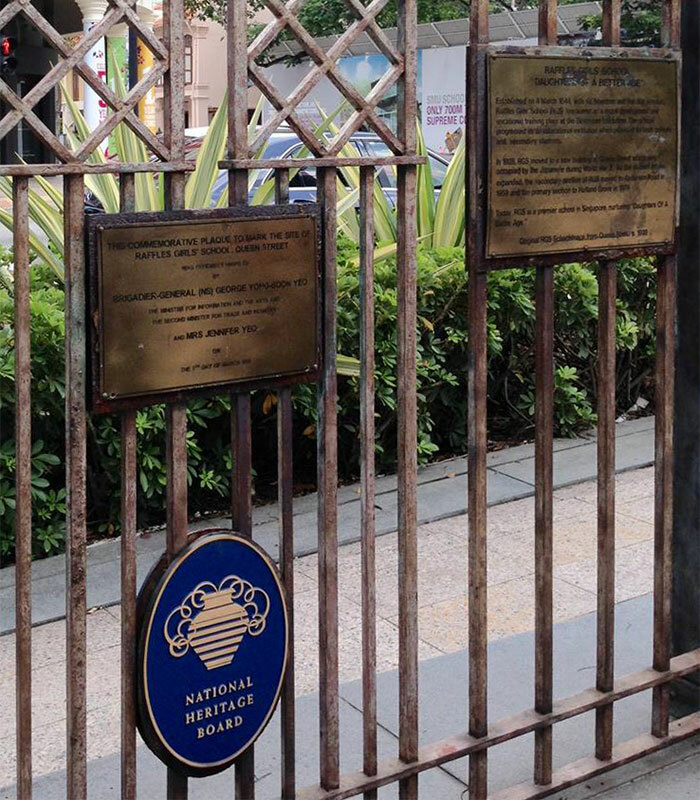 Though the old school buildings are long gone, the gate was preserved and until 2016 stood outside one of the buildings of the Singapore Management University. This has been replaced with a plaque. 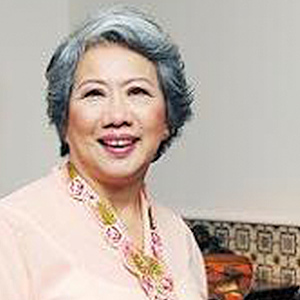 One Rafflesian who made her mark is Maggie Lim. One of the few girls in the male-dominated Raffles Institution, Maggie won the Queen’s Scholarship in 1930, making her the first female in the award’s 45-year history and the second Singaporean to win it. 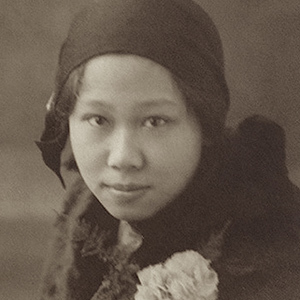 Another was Stella Kon, author of internationally-staged, award-winning play, Emily of Emerald Hill. 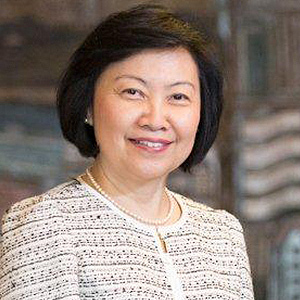 Cheong Koon Hean, the key architect of Singapore’s cityscape and housing estates, made history in 2004 when she became the first woman to head the Urban Redevelopment Authority. Other notable alumnae of Raffles Girls School include Tang Pui Wah, Lim Hwee Hua, Lee Choo Neo, Leaena Tambyah, Jane Lee, Jackie Yi Ru-Ying, Anne Lee Tzu Pheng, Margaret Leng Tan, and Mrs Seow Peck Leng.